Here at DV Entertainment, we offer Starlit Dance Floors for those extra special occasions. Perfect for Weddings, 18th & 21st birthdays, School Proms and Corporate events, these Starlit Dance Floors can certainly add that Wow factor to any special occasion or event. The dance floors are pieced together with 4ft x 2ft & 2ft x 2ft sized panels which can be arranged in different ways to suit you’re shape and size of dance floor space. Our dance floors are cleaned and polished after every event to keep them in top condition. We also give them one last polish after installation at the venue to give them that extra sparkle ready for your event. If you’re venue requires a risk assessment or a method statement on how the dance floor will be laid, then please just request these documents when booking the dance floor. 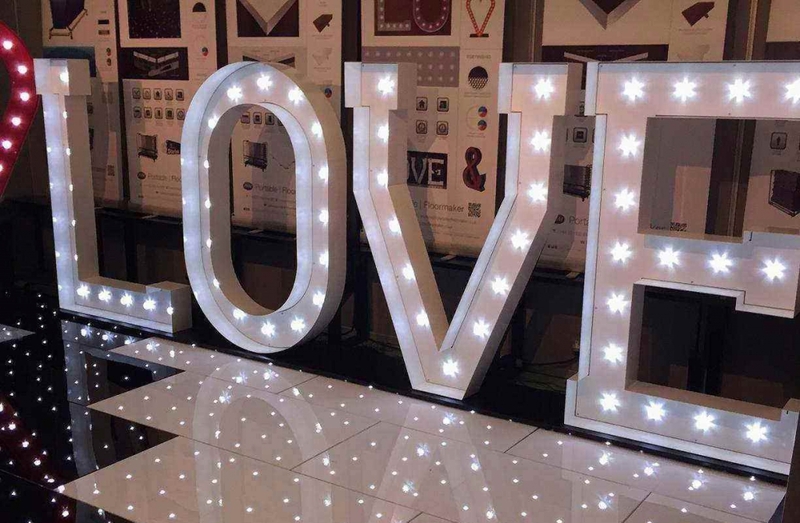 We can also supply the increasingly popular 5ft LED Love Letters which can provide the perfect focal point in any venue. The love letters can also be used as a backdrop for any photo opportunities at your event or special occasion. 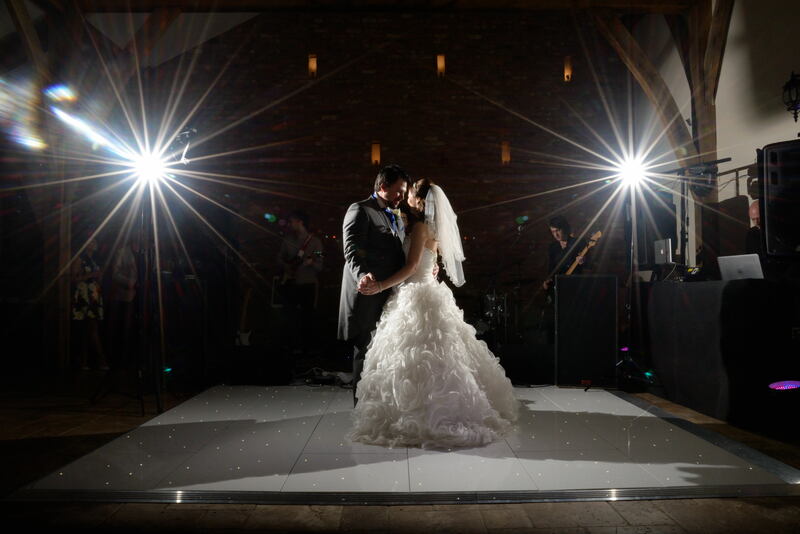 If you are hiring a Starlit dance floor, then make sure you take full advantage of these love letters being fully compatible with the dance floor controller. Meaning both will sparkle in time and both compliment each other perfectly.